The AmbiLED HD is the first high resolution ambient light conversation kit for computer monitors, with 16 million color range RGB LED's and a simple adhesive backed LED strip design you will have everything up and running in no time. 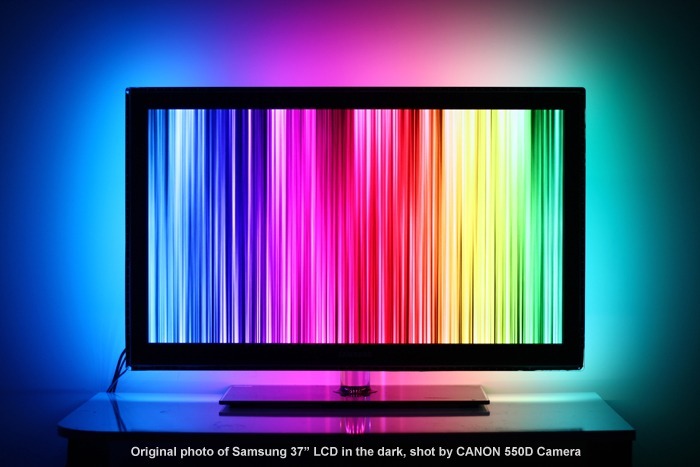 Most common commercial and DIY ambient light systems only use 3-30 LEDS around a display. This is because every individual RGB LED requires three pins to control colors, which equals a lot of cables and connectors between each LED and controller. The AmbiLED HD was created by our friends at Flytron (the makers of the DroneThermal Thermal Camera Breakout Board) uses individually addressable WS2812B 16 million color RGB LEDs which eliminates the need for complex cabling and connections. 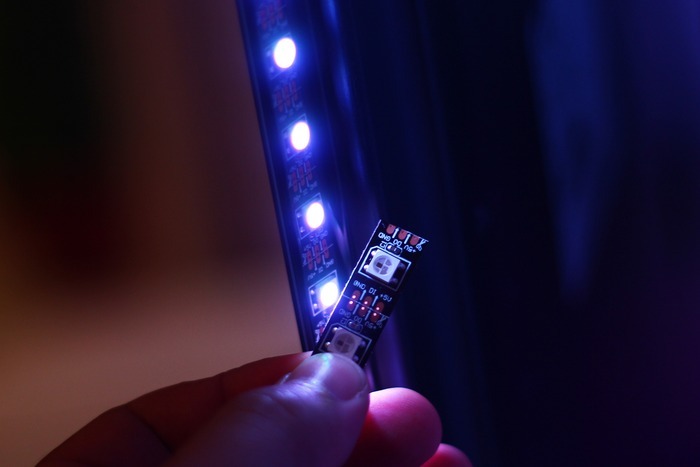 The AmbiLED HD simply comes as a simple, flexible, adhesive backed LED strip. Installation of AmbiLED HD is very simple and takes only 3-5 minutes depending on your screen size. Just attach the 12mm wide LED strip to the back of your display, plug the 3 pin connector into the AmbiLED HD controller, supply the controller with AC adapter (included) and connect it to USB port of your PC. That's all you need to enjoy AmbiLED HD. 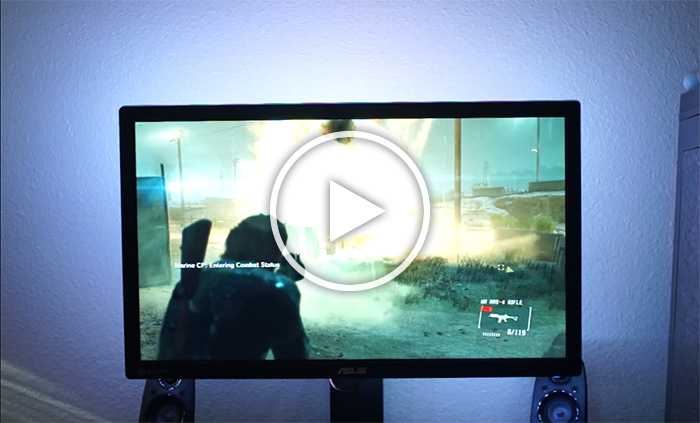 Check out the AmbiLED HD in action, the video below has various video clips as well as a few examples of gameplay at the end. AmbiLED HD was successfully funded on KickStarter on September 30th 2014 and is a Kickstarter Staff Pick (nice work Flytron!). 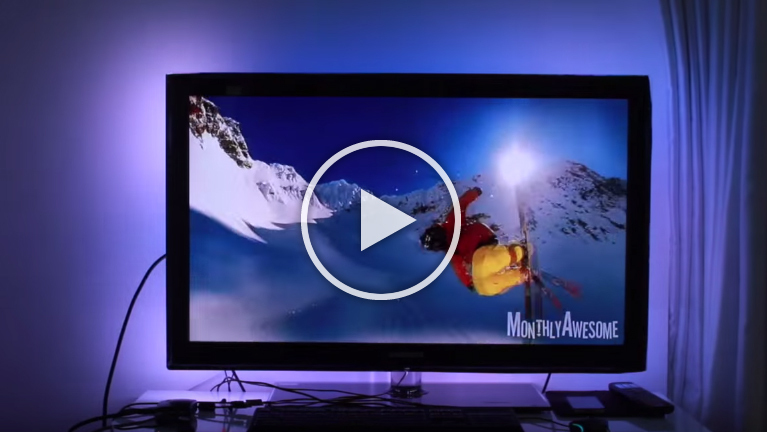 300cm LED strip is enough for monitors as large as 40"
AmbiLED HD was originally designed for Windows and has it's own dedicated software for Windows based machines. Borderless Window Configurator(Pseudo Full Screen) for games. Works with all Windows applications except full screen games*. (*)Capturing from back buffer is the ban reason for most of game companies. This is why the AmbiLED HD is not supporting back buffer capturing for full screen games. You can use the Pseudo Full Screen feature to fix the game window dimensions under window mode. AmbiLED HD hardware is compatible with Boblight. It has been tested on Ubuntu and works very well. A detailed setup document page for Linux users is available here. AmbiLED HD is tested and working under RaspBMC + Hyperion without any problem. Unfortunately, it is not suggested for OpenELEC + Boblight users because of high CPU usage. Visit AmbiLEDHD.com for detailed installation and setup guides. Some software configuration may be required, this is not necessarily a plug and play kit depending on your application. See the Documentation section above for a link to detailed instructions for multiple platforms.